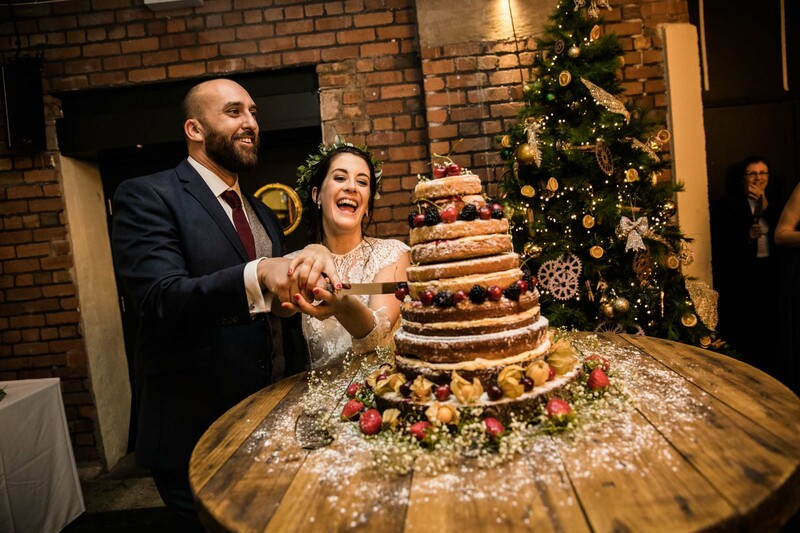 As it’s a quieter time of year for weddings, I’ve been using my free time to catch up with my blogging. 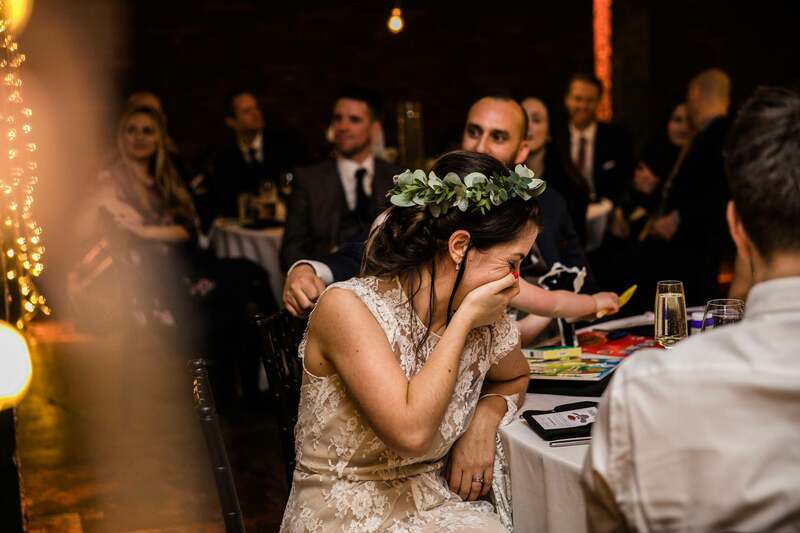 This week I came across this little gem of a wedding I haven’t featured before. 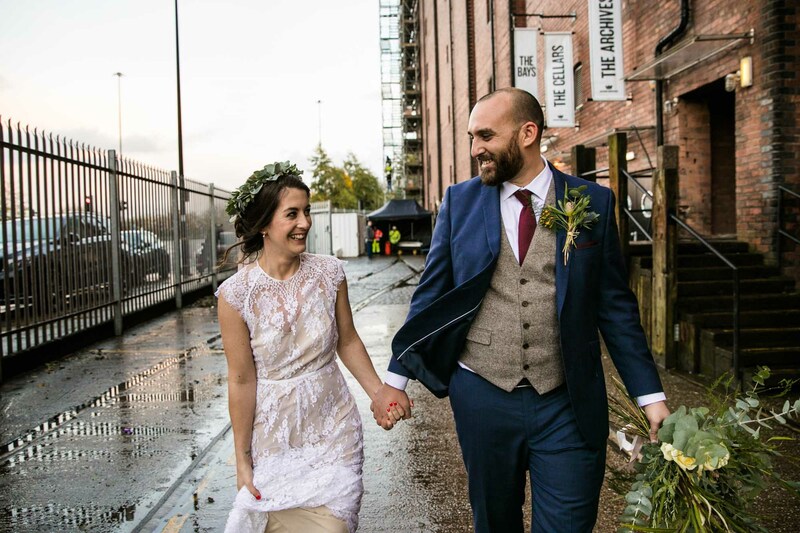 I think you’ll love reading about Emily & Suresh’s big day if you’re planning an urban wedding in Manchester. 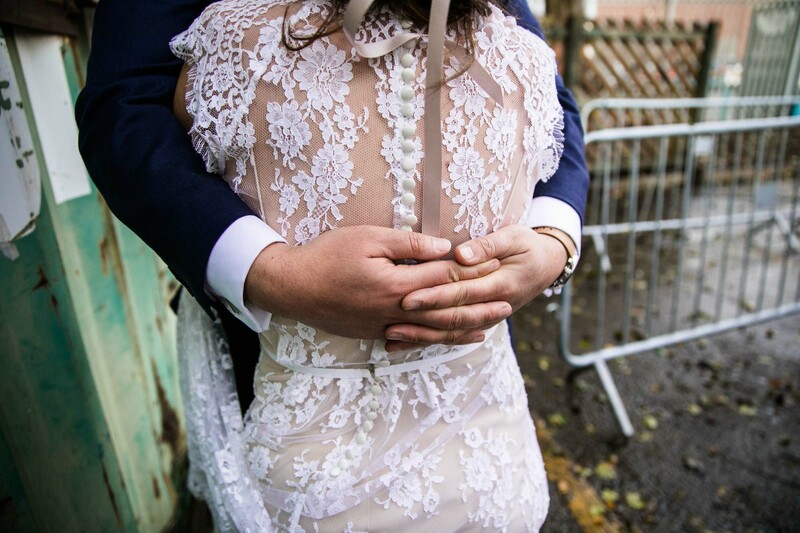 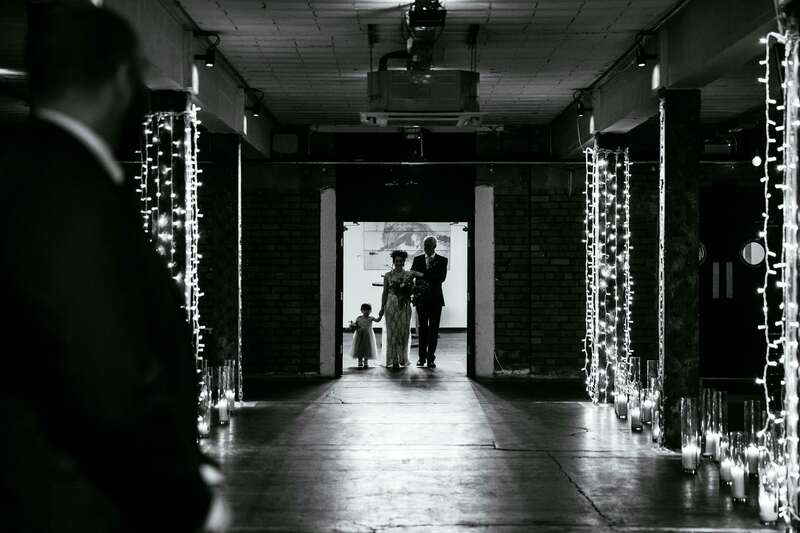 Emily & Suresh were married in November at Victoria Warehouse in Manchester. 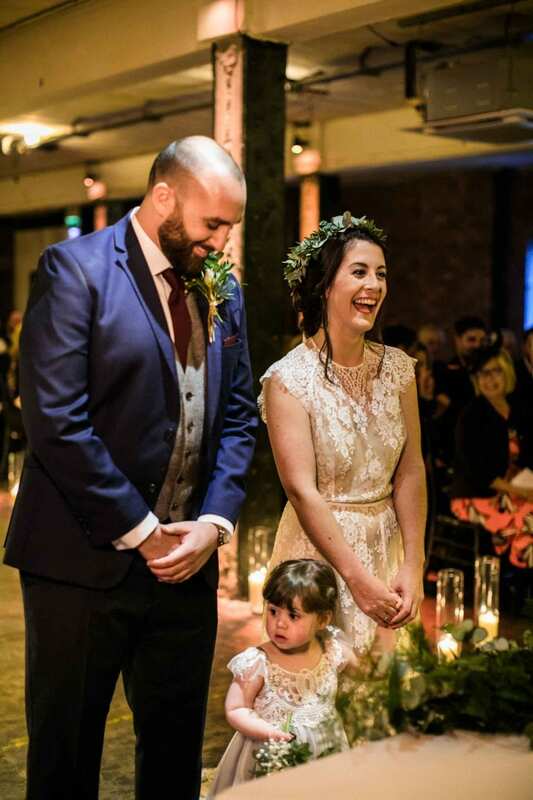 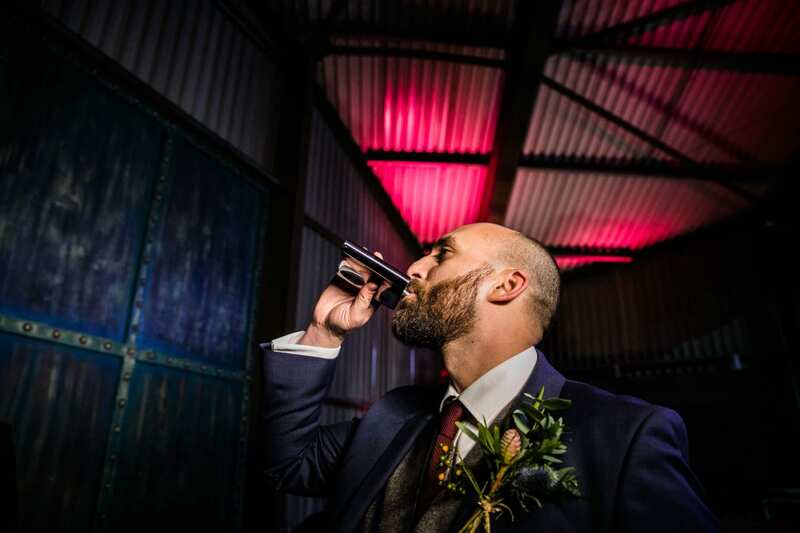 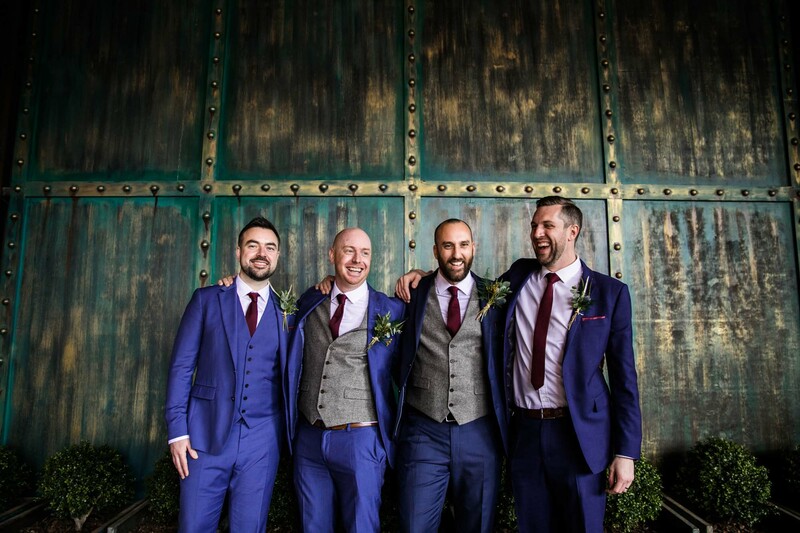 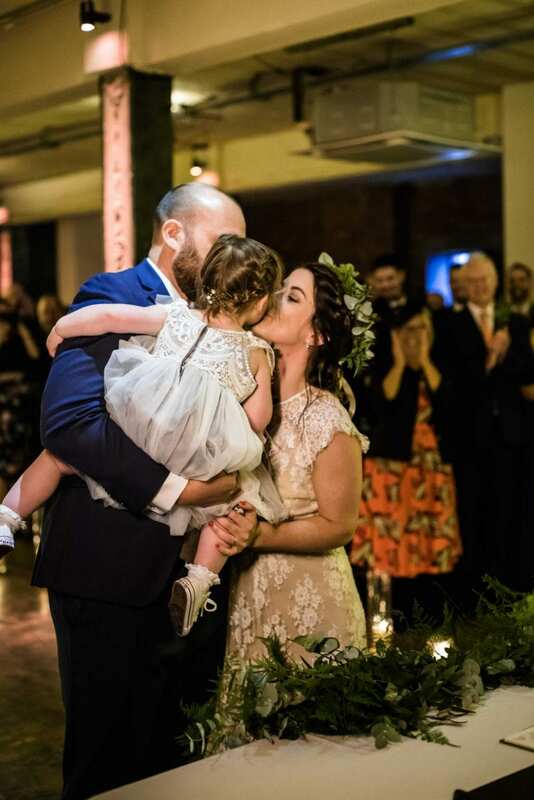 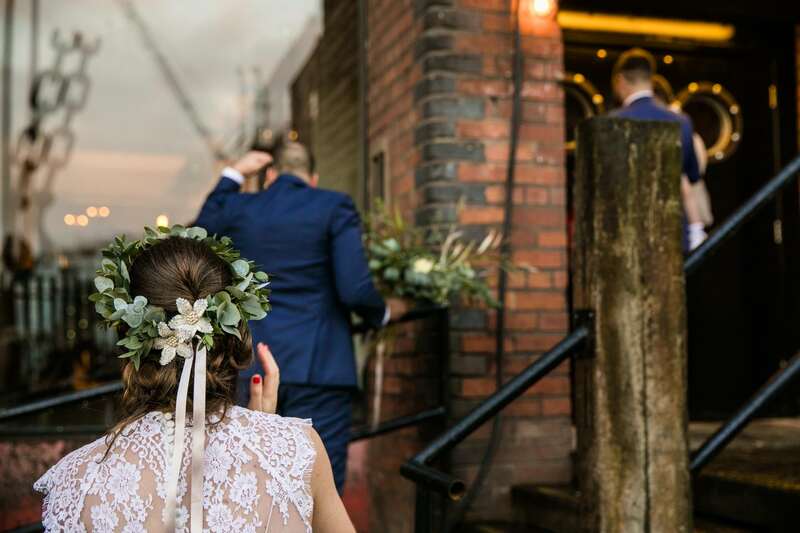 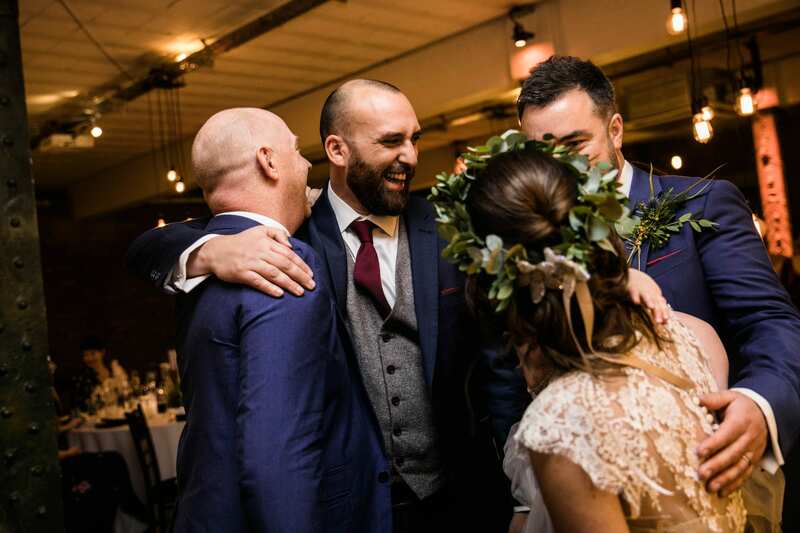 Host to musicians from across the world, Victoria Warehouse is not only a top gig venue, but a very cool place to get married. 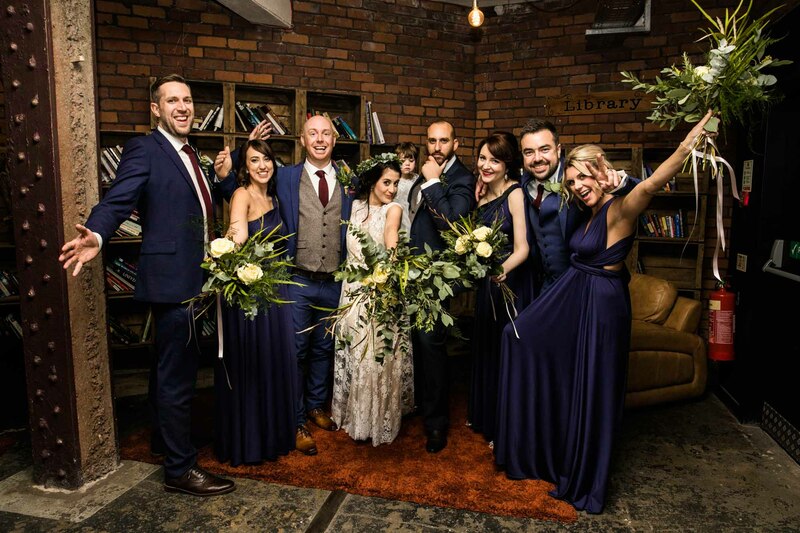 I think it’s an amazing choice if you’re looking for a Manchester wedding venue that’s a little bit different. 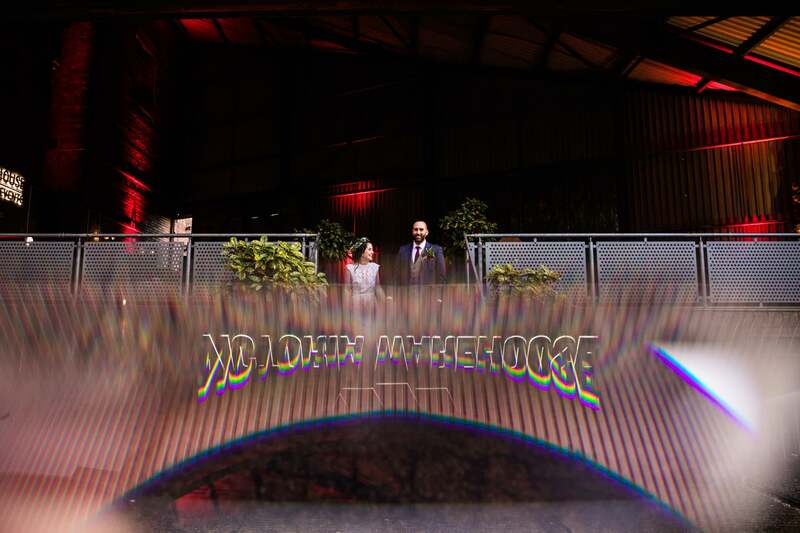 The huge warehouse itself is so grand and impressive from the outside. 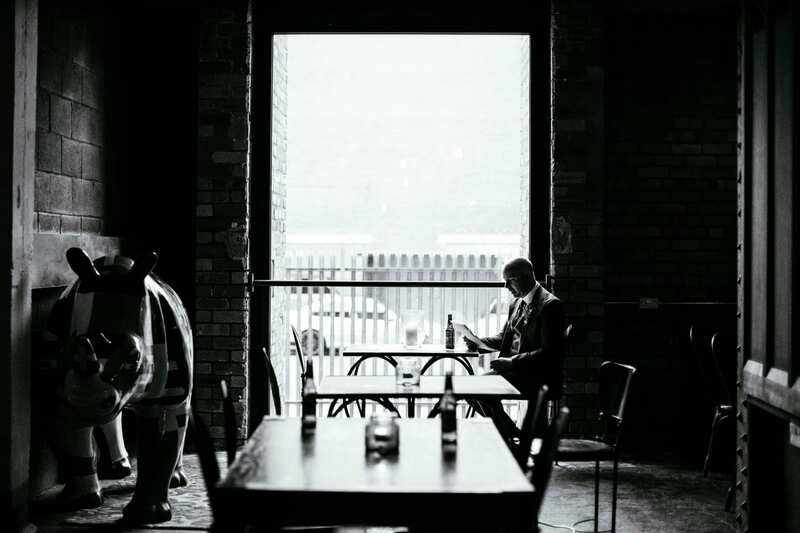 Inside, the decor is industrial with quirky touches. 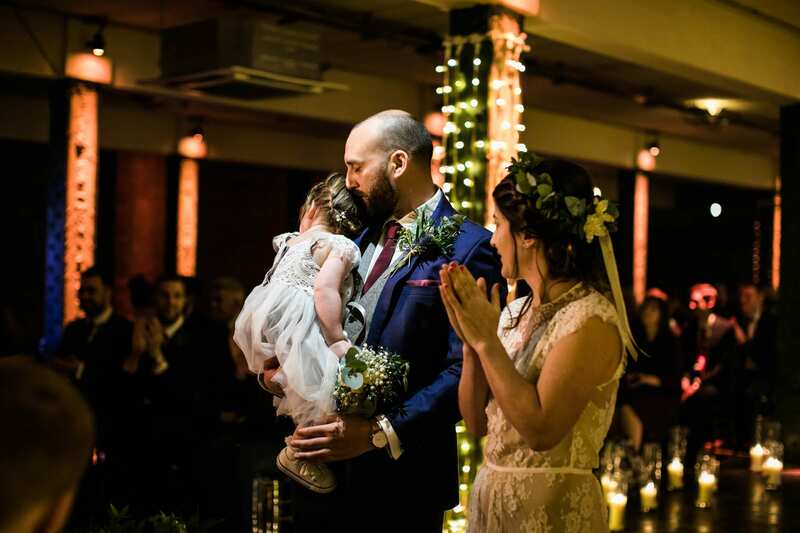 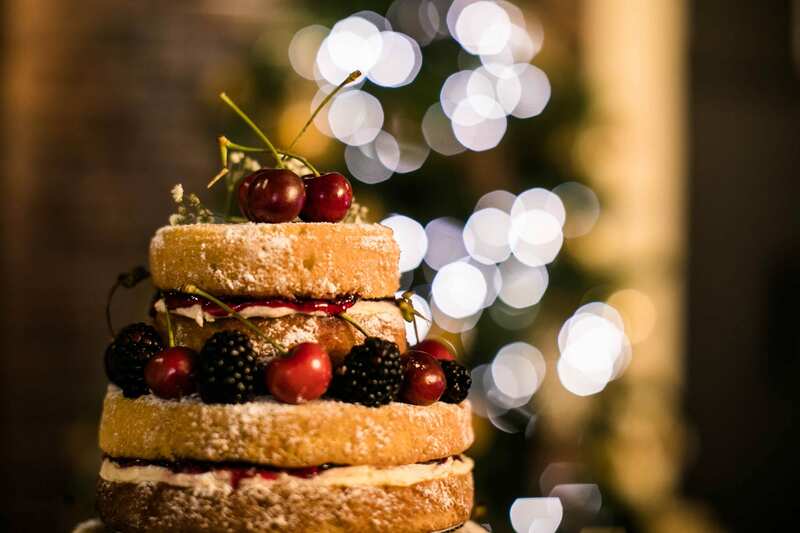 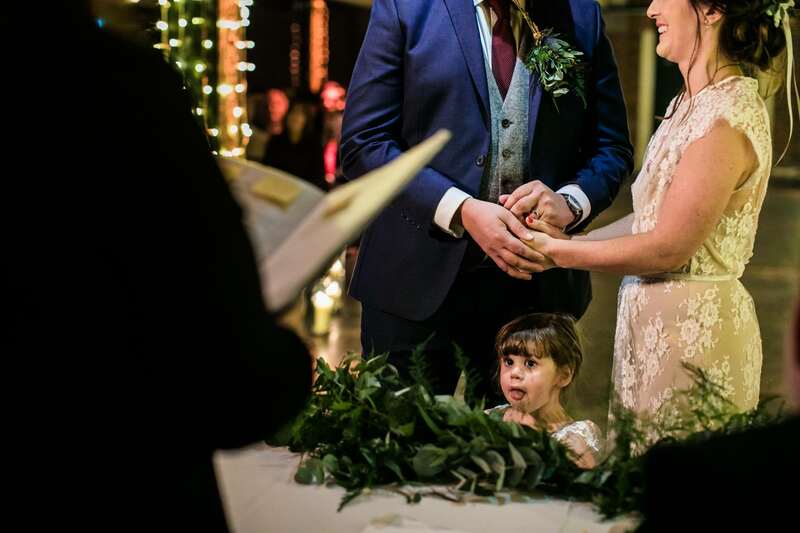 Emily & Suresh created a relaxed, informal and child-friendly atmosphere for their wedding. 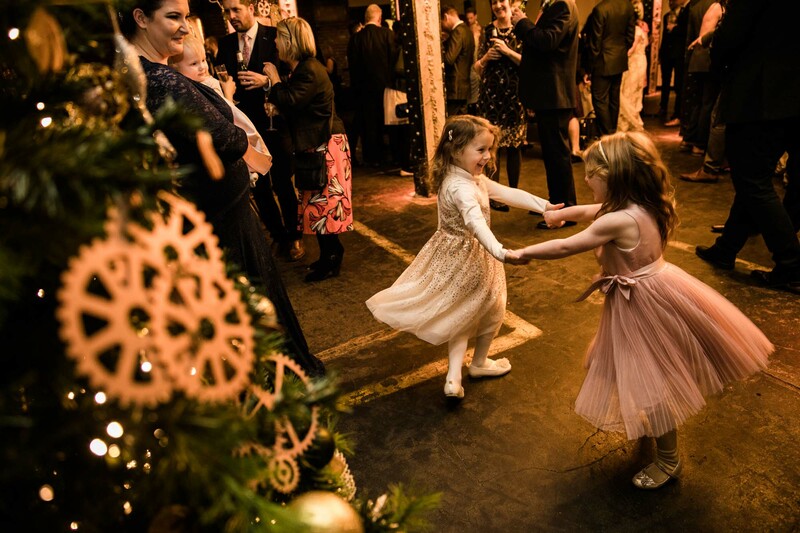 Everyone was enjoying themselves and having fun, including me and Imogen my second shooter! 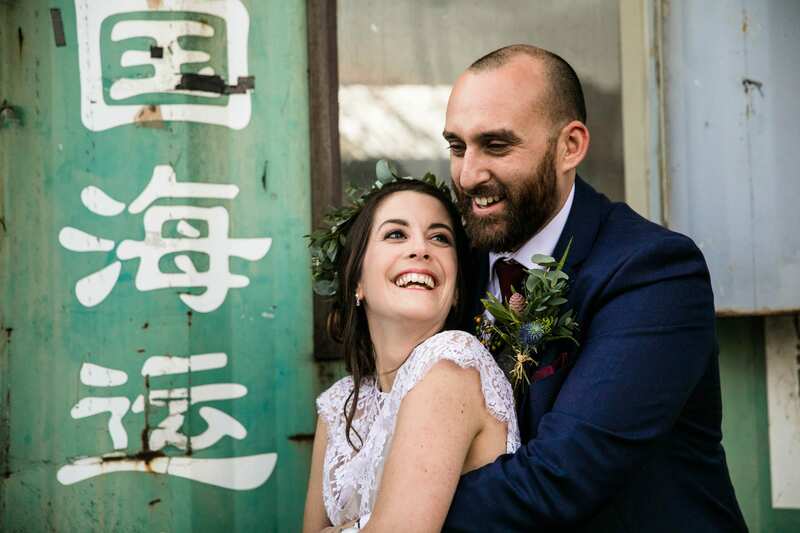 The laid-back feel of the day was perfectly complimented by boho wedding styling and a film theme. 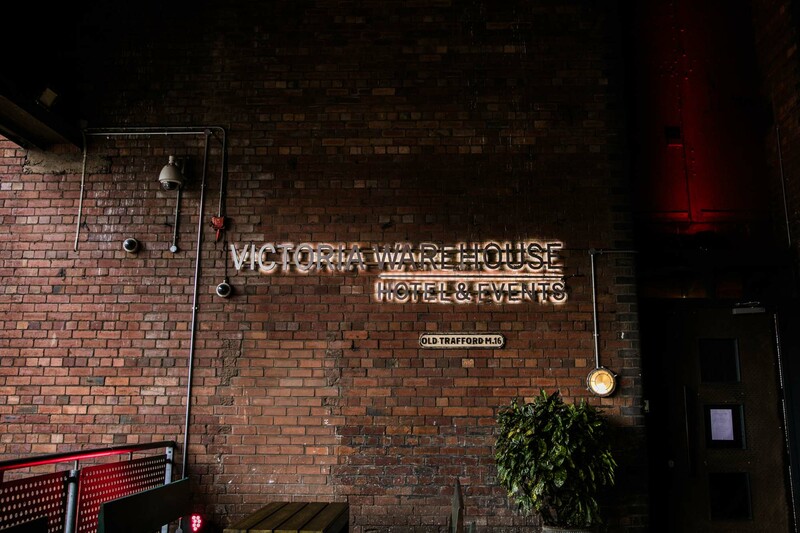 It was my first time shooting at Victoria Warehouse. 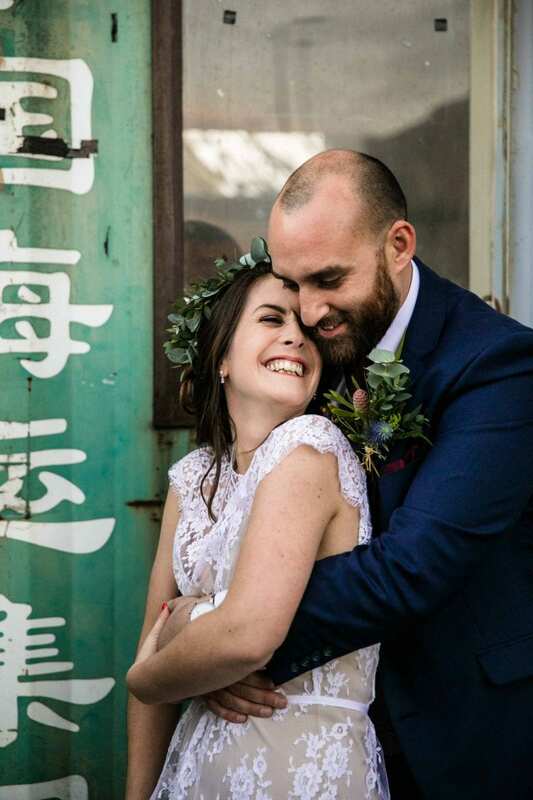 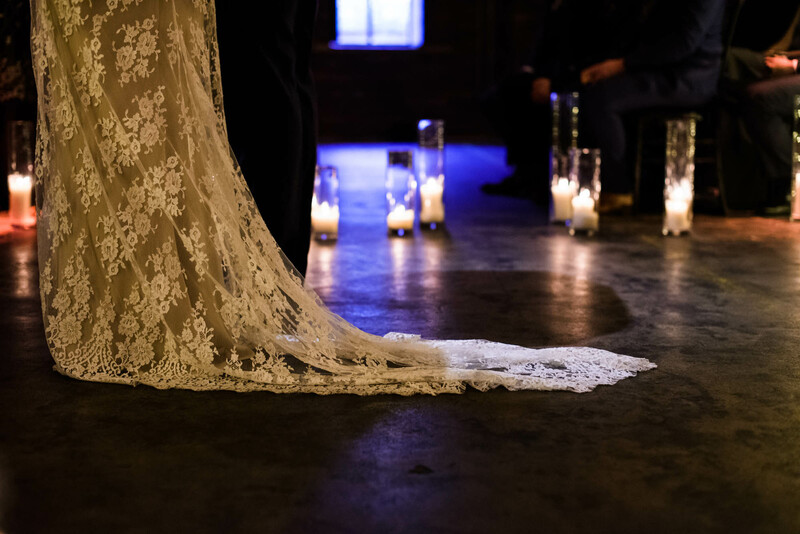 I found the urban style of the warehouse so inspiring for wedding photography! 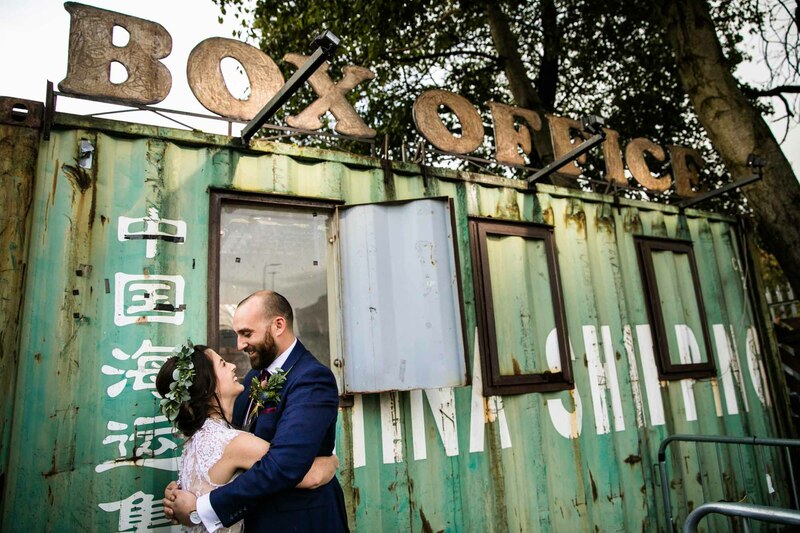 The beautiful brick of the building and the shipping container were some of my favourite things to shoot. 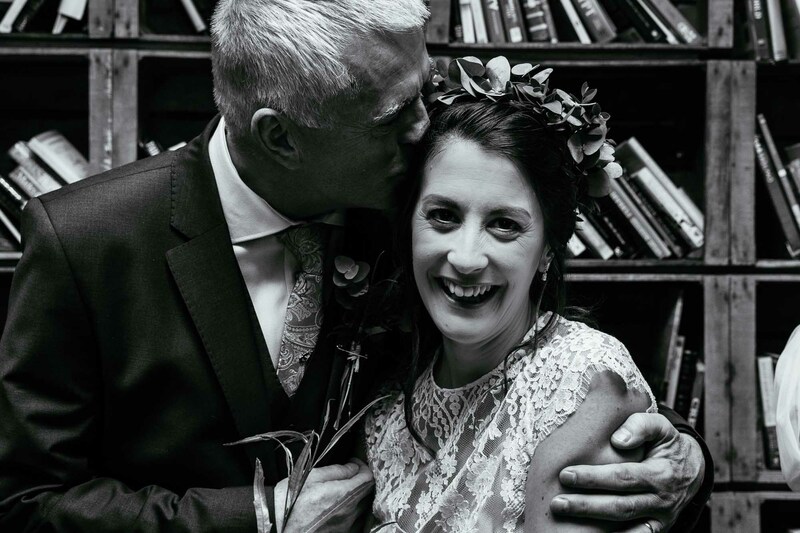 Emily & Suresh were brilliant during their portraits. 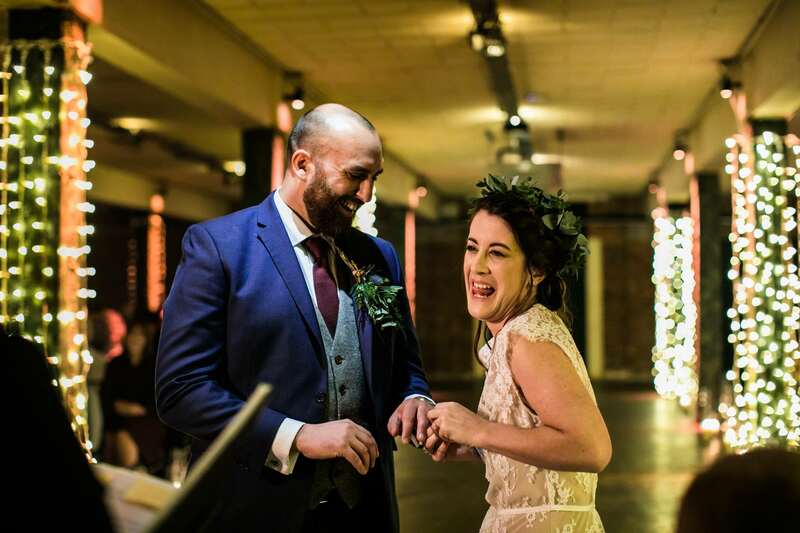 They were happy to go with the flow and explore the spaces around Victoria Warehouse with us. 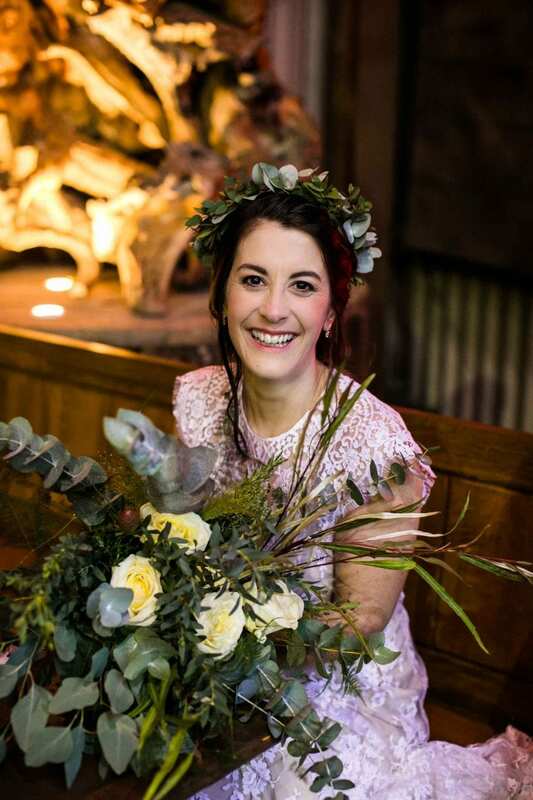 The green foliage that Emily had chosen for her bouquet looked ace in the wedding photographs and I was a particular fan of her flower crown! 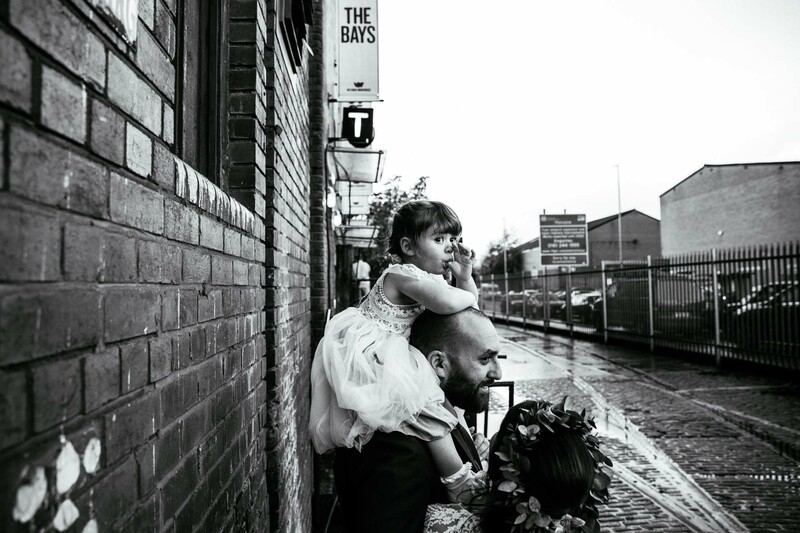 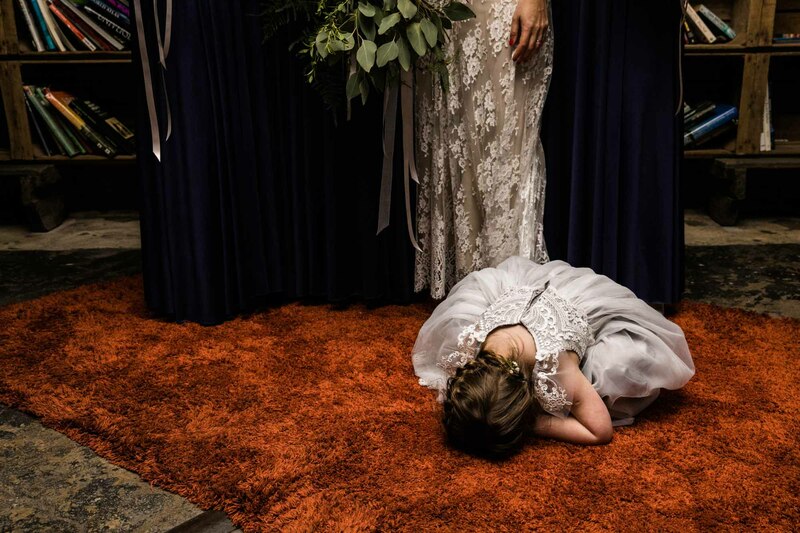 So what did Emily and Suresh have to say about their photos? 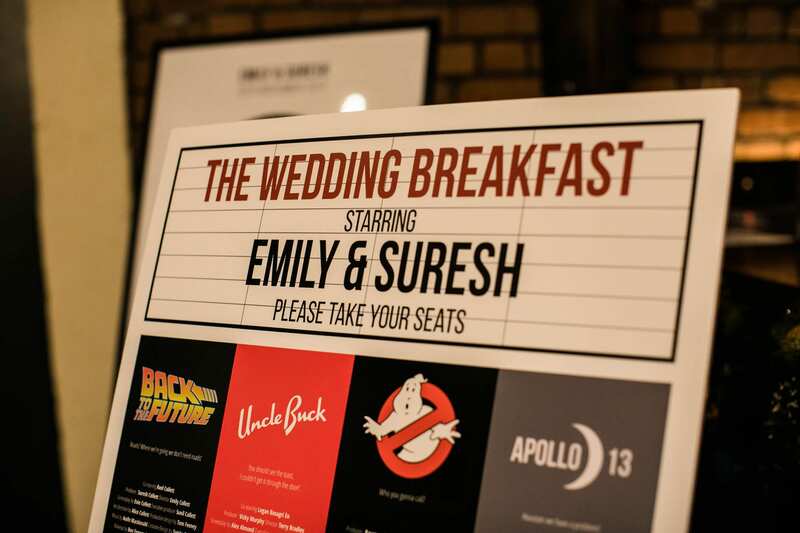 Thank you Emily & Suresh for your kind words and for having us along to celebrate with you! 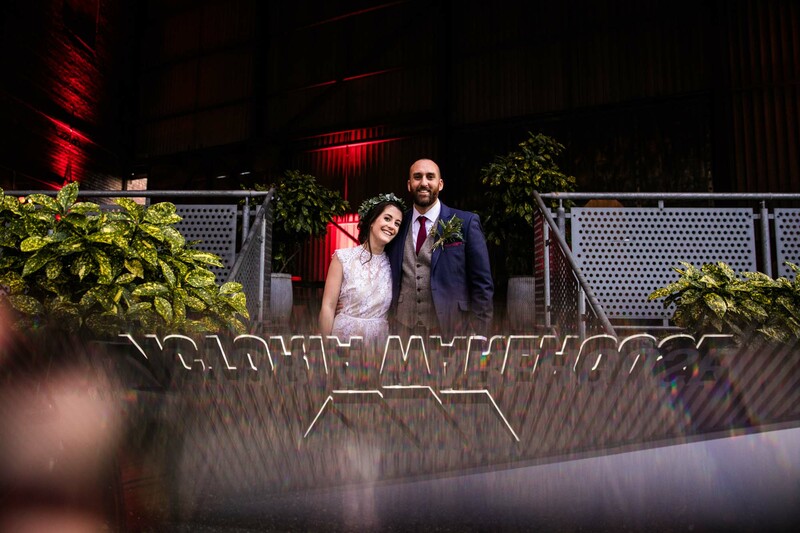 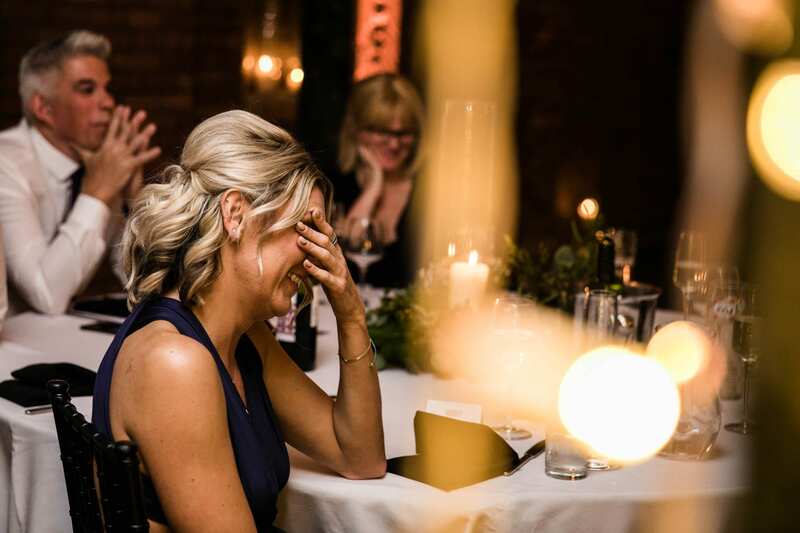 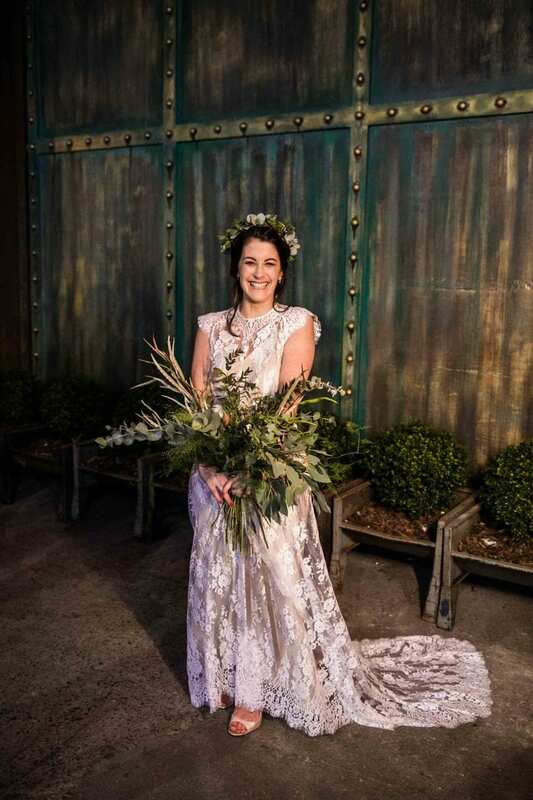 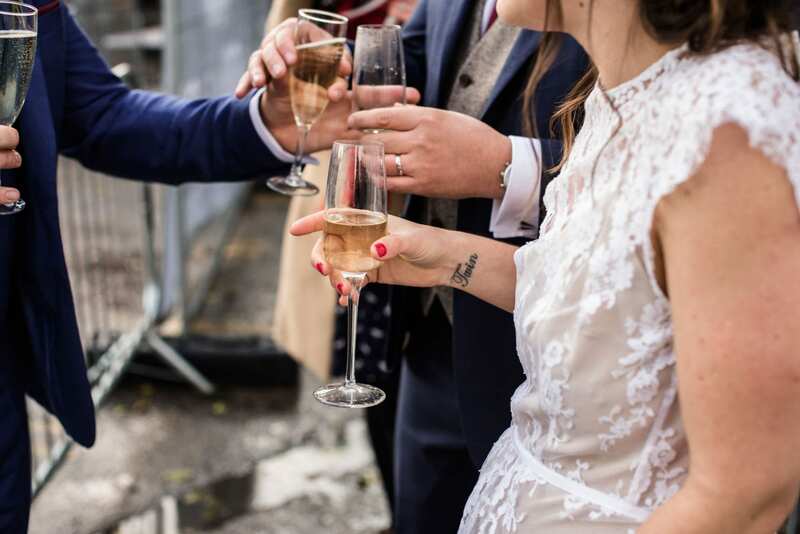 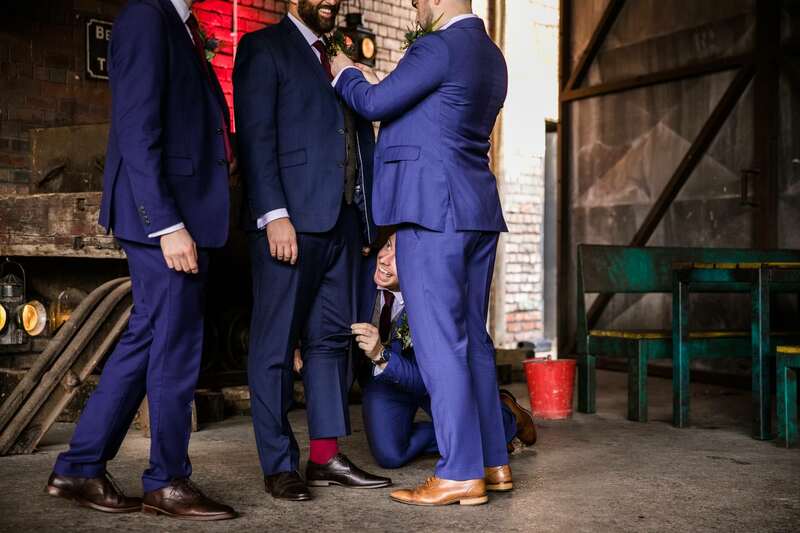 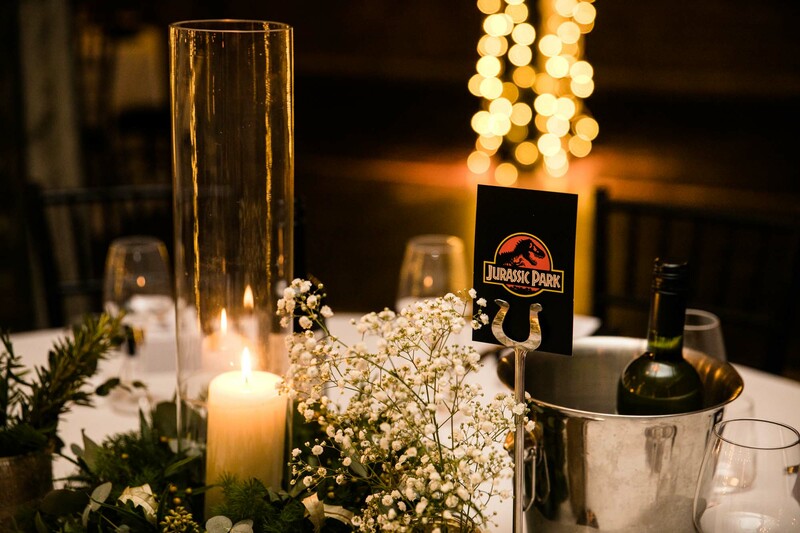 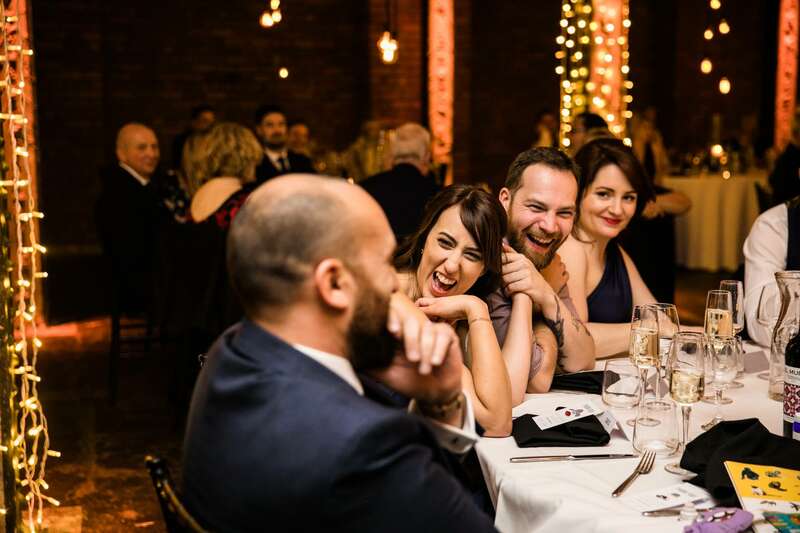 If you’re thinking of having an urban wedding in Manchester, I think Victoria Warehouse could be a brilliant choice for you. 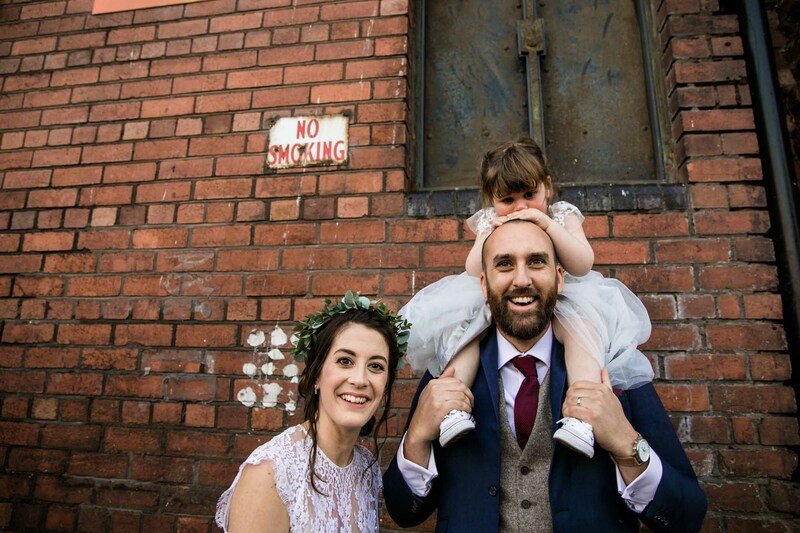 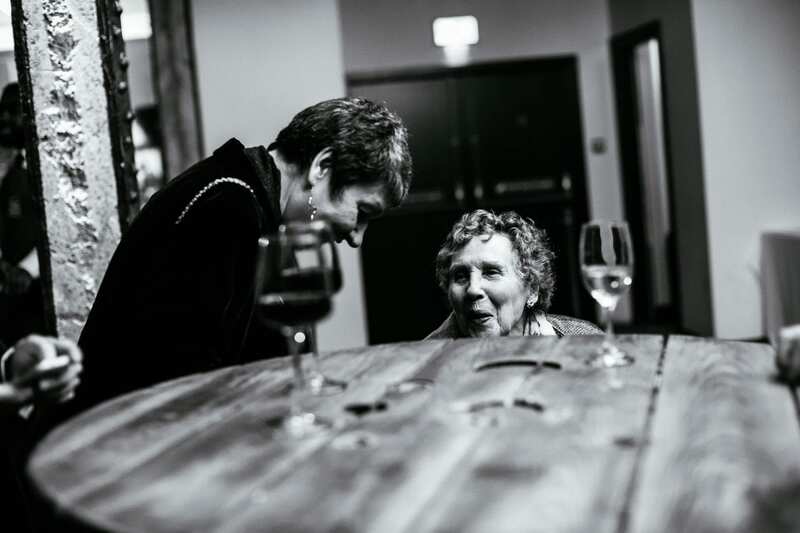 Nina and the team are dedicated to making your day run smoothly and you can contact them at Victoria Warehouse, Trafford Road, Manchester, M17 1AB. 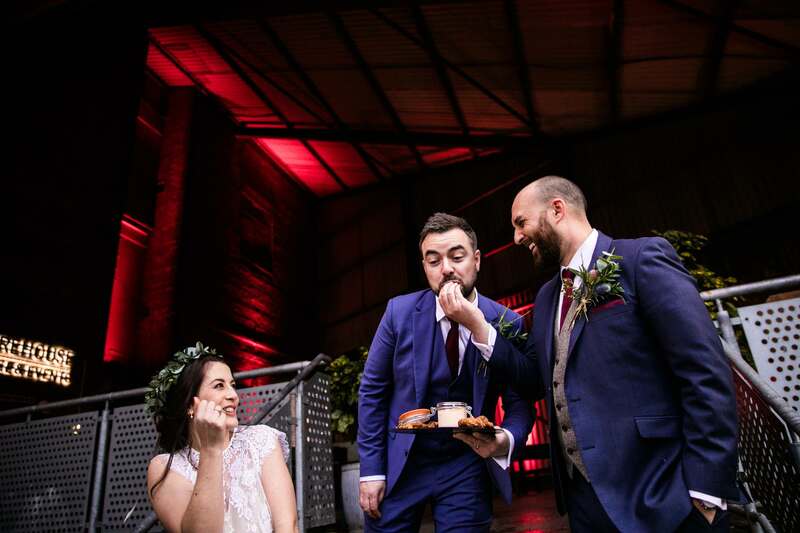 If you’d like to see more of my work at this venue, check out Victoria Warehouse Wedding Photographs from Kara & Andie’s wedding. 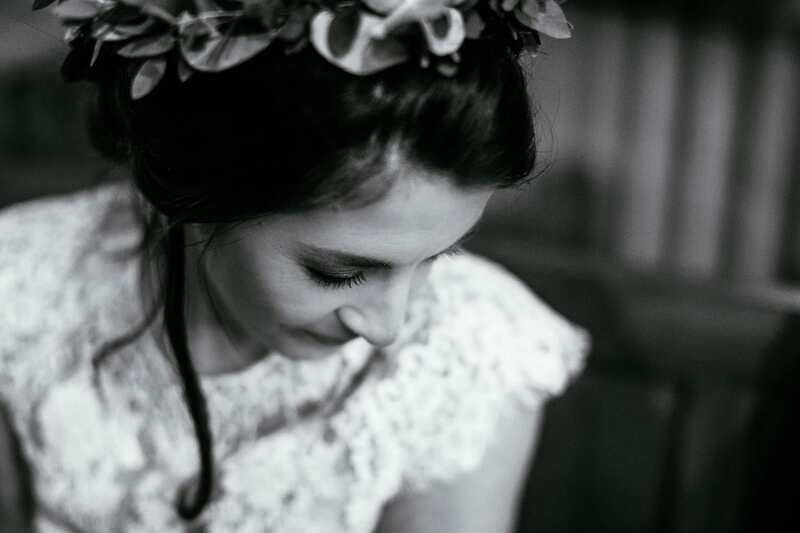 You can also read more about what to expect from your wedding photography at my website. 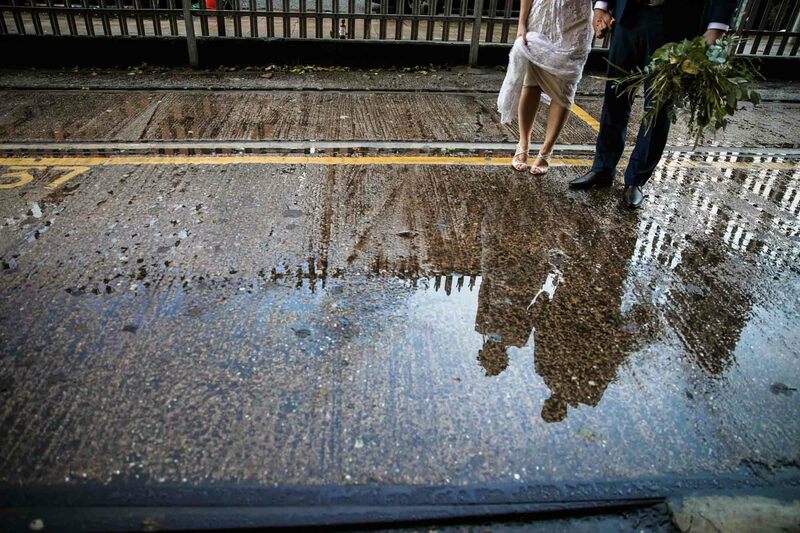 Very attractive photography.. Great work by photographer..